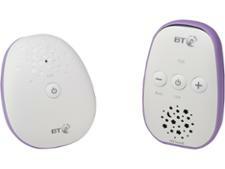 Best Video Baby Monitor Buying Guide - Which? How much you need to spend to get a Best Buy video baby monitor, plus which features are worth splashing out for. The best video baby monitors have a good battery life, won't lose signal and have clear sound and images. Not all live up to the claims though, so check our reviews before you splash out. Video monitors are generally more expensive that audio monitors. They can start from around £70 up to more than £200. The more features you want, the more it's likely to cost you, but we've found decent, feature-packed Best Buys starting from £130. If this is higher than you'd budgeted for, don't worry. Baby monitors can usually be found on sale, so if you set your heart on a model, see if you can bag an older version of a Best Buy at a reduced price. Just make sure you choose and order in plenty of time so you can read the manual and get it set up ready for your new arrival. Get peace of mind at a price that suits your budget by choosing from our baby monitors reviews. 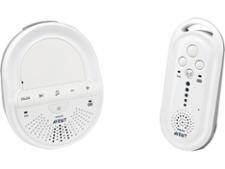 How does a video baby monitor differ from audio? Video baby monitor technology has advanced in recent years, so those grainy black and white images are largely a thing of the past. Now, nearly all video monitors offer a large colour screen, night vision and a zoom function. Some even allow you to remotely move the camera’s view around the room. Others give you the option of recording footage of your sleeping baby that can be transferred on to your computer. The two main drawbacks of video monitors compared with their audio-only counterparts are they tend to be more power-hungry and sometimes lack the long range of audio models. That said, some parents love the extra sense of security and enjoyment that comes from being able to watch, as well as hear, their child. Do I need a video baby monitor? Yes, if you want to see your baby as well as hear them. Some video baby monitors have pictures so good you can see your baby breathe, but not all video monitors have a good, clear image - despite what the picture on the box shows! Not only are they useful for keeping an eye on your newborn, they can also be useful for older babies who are starting to move about, or toddlers to check they're not trying to escape from their cot too early. Just be careful about cables and wires when using monitors around a mobile child. Baby monitor safety – the latest on how to prevent your baby monitor being hacked, plus more must-know tips. Range Don't always believe what the box says. The promised range doesn't always add up to what you'd actually get using it around your home. The type of property you live in may affect how well your monitor works – thick walls will often pose a problem. Video monitors tend to suffer more with range problems than audio-only versions. Our test results reveal the real range. Battery life A decent battery life on the parent unit of a video baby monitor is a must. You don't want to have to charge the unit every hour to make it last, or be sitting by a plug socket to use your monitor. Our tests record how long the batteries will last before they need recharging or changing. Battery indicator This should give you adequate warning before the batteries run out. Some let you know well in advance, while other monitors will just cut out. Night vision This lets you keep an eye on your baby even when it's pitch-black in the nursery. How effective this is can vary. We've seen some monitors experience a significant drop in visual quality when in night mode. Room temperature display Some parents find this useful and appreciate the alerts that the monitor can give when temperature falls below or rises above the recommended range (between 16 and 20°C). Others may find this annoying after a while. Talk-back communication This works like a walkie-talkie and lets you reassure your baby through the monitor without having to go back into the room. Multi-camera mode A great feature to consider if you're thinking of expanding your family or have a toddler in a different room that you still want to keep an eye on. This allows you to buy additional cameras that will pair with the same parent device. Night light A subtle night light on the nursery unit is useful for a child afraid of the dark. It can also be a benefit as more subdued lighting to set the bedtime mood, or for any middle-of-the-night nappy changes. Eco mode Video monitors are battery hungry. This function will switch the screen off after a set amount of time, provided all is quiet and peaceful in your baby’s room. Some turn on faster than others though, and some eco models can't be turned off, which can become annoying. Lullabies A useful additional feature on a monitor that plays lullabies to help soothe your little one to sleep. Be warned though, the music can get irritating. Some of the newer video monitors can play your choice of music, and some have a range of white noises like a hairdryer or the vacuum cleaner. Find out which baby monitors scored top and are the best baby monitors. Not a Which? member? Join Which? to access all our thousands of independent expert reviews and Best Buys. Could my baby monitor get hacked?